You’ve decided to make an investment in your outdoor space: maybe it’s a new privacy fence, a new railing around your deck, or a pergola for that unique addition to your yard. Now it’s time to decide who you’re going to trust with your project…and your investment. Here are just a few of the reasons you should consider Reeves Fence Services, Inc. for your outdoor home improvement project. 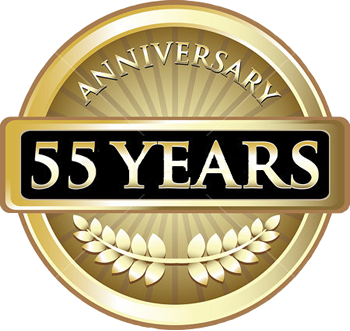 In 1963, Al Reeves, Sr. founded Reeves Fence Services, Inc. In 1971, we moved to our current location on Route 30 just east of Cline Avenue. Today, Reeves Fence Services, Inc. is a second-generation, family owned and operated company serving Lake and Porter County communities. A lot has changed in the past 5 decades, but our core values remain the same. We always have been and always will be committed to providing the highest level of professional service, delivered by trained, skilled craftsmen, using only the finest materials, to meet and exceed your expectations for your fence, deck, or pergola. When you choose Reeves Fence Services, Inc. to design and install your new fence, railing, or pergola, you are secure knowing our installation crews are the best in the business. 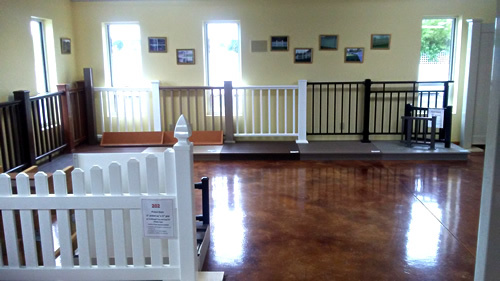 No sub-contractors or “jobbers” here: our fences, railings, and pergolas are installed by our own employees. Our installers have over 100 years combined experience, and our average crew leader has been with us for over 20 years. Anyone with a truck and a toolbox working out of their basement can call themselves a “fence company.” Reeves Fence Services, Inc. is an established, family owned and operated local company. Headquartered in Schererville, Reeves Fence Services, Inc. is located on 300 feet of frontage on Route 30 just east of Cline Avenue with business offices, a 1,000-plus square foot showroom, two warehouses dedicated to materials, and our own fabrication facility. We invite you to visit us. We’re always happy to answer any questions and provide any information you need for your fence, railing, or pergola project. The more money that is invested in “buying American,” the more the manufacturing sector will grow. By growing the manufacturing sector, more jobs are created. That in turn pushes more money back into the economy. This is a cycle that we can get behind. 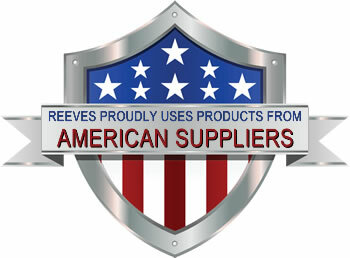 That’s why Reeves Fence Services, Inc. is proud to use American vendors for our fence, deck, railing, and pergola materials. We employ proprietary techniques that we have innovated through our long experience. 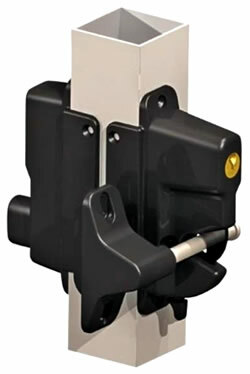 One technique we developed prevents temperature changes from “pushing” your fence posts out of position. 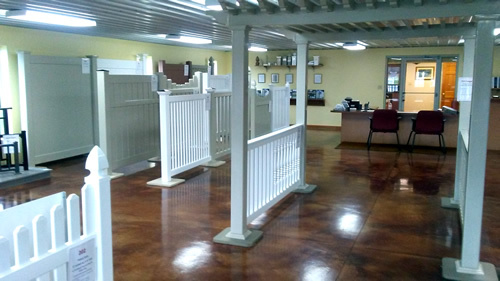 Ask your Reeves Fence Services, Inc. Representative for additional Reeves exclusives. If you feel like your home could benefit from any one of our design and installation services, feel free to contact us now to begin your outdoor project and talk with our team about your vision. We can customize our design to your exact specifications. Call us today at 219-322-7840 or use our convenient online information request form.